This virtual panel of revenue cycle leaders is actively investing in patient financial care initiatives at their respective organizations. This moderated webinar discussion explores different provider perspectives on motivation, vision, and results. Specific attention will be placed on new key performance indicators (KPIs) that align patient success with revenue cycle performance as well as complementing existing efforts such as patient portals. Identify drivers of and measure billing satisfaction across transparency and payment flexibility. Analyze metrics for success in engaging patients as consumers, including self-service payment. Design techniques to increase employee collection productivity. 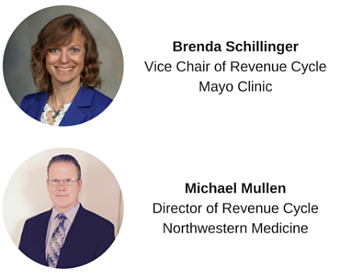 Assess readiness and create best practices for insourcing patient revenue cycle.